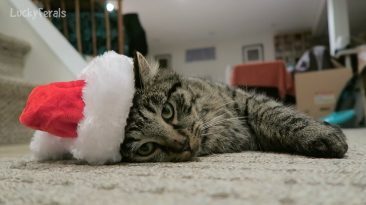 Simba the cat in his Santa hat. (I bought it on sale at PetSmart.) I thought he might like it. Just call him Santa Claws.